Submit a request for service directly to our National Service Centre. Plans Instant filtered drinking water systems require regular maintenance and filter replacements to ensure optimal water quality and an ongoing high level of performance. Our Billi Customer Care team includes an Australia-wide network of trained service technicians and service agents to provide technically correct, prompt and reliable service. 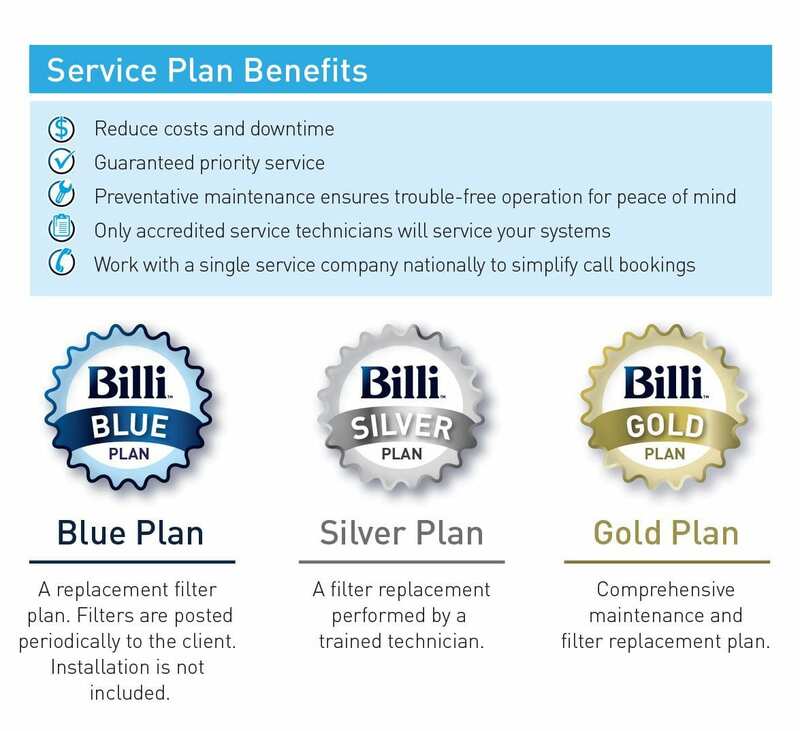 Billi offers 3 plans to suit customers’ requirements. Billi Blue, Silver and Gold plans. Yes, you should always use the correct filter for your water system. They can be purchased online on this website or through a Billi merchant. Yes. As filters catch contaminants, they become soiled. Billi undersink water systems use mains pressure, so reduced chilled water flow indicates you should change filters.